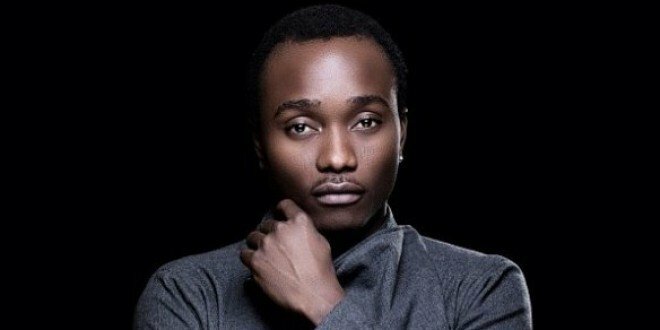 Nigerian singer and songwriter, Olawale Ashimi, popularly known as Brymo, a defunct member of Chocolate City, shares his travel experience in Dubai; his challenges and interests. He also said he doesn’t like traveling a lot because he likes to spend most of his time in Nigeria. The ‘Ara’ crooner said he is so proud to be a Nigerian and there is no other country he would rather be a citizen of. I travel as often as I can. Because of the nature of my job, I get to move around a lot. I like to travel as a tourist as well; it exposes me to new cultures and places. What’s your typical time like on the plane when you are flying anywhere? I love the white wine and movies on the flight; there’s usually an abundance of those on most international flights. I always look forward to rediscovering the movies I’ve seen in the past; seeing the nice movies they have in the in-flight entertainment. Of course, with drinking wine, the aim is not to drink myself to a stupor but I like to drink as much as I can. I really enjoy white wine in the sky. That was my trip to the UAE, Dubai. It was an exciting experience to see the great Dubai. I was in awe of their magnificent architecture. The place is very beautiful. Knowing the history of the city, it amazed me to see how advanced they are. It was my first time visiting and it was quite a pleasant surprise to see all that the city has to offer. I really would have loved to make friends over there but since I was there for just about three nights, I didn’t have the time. I was invited to perform at a Nigerian wedding in Dubai sometime at the beginning of the year. It’s almost like Nigerians have the best weddings, even outside the country. It was great that I got to see a bit of the city. As a performer, my trip was sponsored by my host; it was more like an all-expense paid trip. That’s one of the perks of the job. Sometimes, people don’t only enjoy the music, they also want to see the artiste perform and that was the case on this trip. They could go the extra mile to invite them to perform live. Was it anything like you’d imagined or heard? The city is without doubt as beautiful as I’d seen in pictures but I must confess, I didn’t expect the heat. It was very hot and I wasn’t prepared for it. Did you miss Nigeria or were you glad to be away for as long? Whenever I have to travel for a long period, just like anyone else, I miss home. Personally, I believe no place can be like Nigeria, at least for me. Nigeria is different and I have my roots here. I would travel out of the country to tour, no matter the length of time, but I’ll always come back home. I try to spend the bulk of my time here in Nigeria. Did you have a memorable experience? I remember wanting to skydive. I arrived at the place and was even ready to pay for the thrill but at the very last minute, I changed my mind because I panicked a little, and didn’t end up ticking that box. What can Nigeria learn from Dubai? Firstly, the infrastructure is different. It’s obvious that the leaders deliberately built the city to attract tourists, which in turn, by the virtue of the tourists spending, is pumping money back into the system. That’s different from a place where the people in power are more interested in taking money from the people rather than from other people to give to its people. I believe that even Nigerians go to Dubai to invest their money. We should learn how to harness our resources so that people from around the world can visit and tap into whatever beauty we’d have created. I remember a time at the airport when I needed directions and I asked a lady who was a worker at the airport for help. Unfortunately, I couldn’t speak Arabic and she didn’t understand English. When I spoke to her, she just gawked at me. That honestly frustrated me at the time. I had to walk a distance to look for someone who actually spoke English and could understand what I was saying. I’ll be going to the UK soon as I’ve been slated to perform at the O2 Islington in September, and I’m really looking forward to going there. I haven’t been to the UK in five years; so, it’d be a very important trip for me; more so, because it’d be my first headline concert there. If you weren’t Nigerian, what country would you have wished you were from? For me, the most important thing is that I’m Nigerian and there’s nowhere I’d rather have been a citizen of. I can’t trade my roots for anywhere else.